Granite Countertop Cost: The Granite Guy Will Always Give You the Best Deal in Columbus! 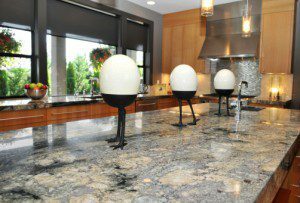 Are you worried about granite countertop cost? Well, you shouldn’t! At The Granite Guy, we offer the best granite countertop prices in the Columbus, Ohio area. Visit our showroom in Worthington to look at our large selection of quality countertops. We’ve got over 80 colors of granite on display, as well as beautiful slabs of marble and quartz. Let us help you find, build and install the kitchen counter or bathroom vanity you’ve been dreaming about. With us, you don’t have to wonder if you’re getting the best value for granite countertop cost because we always give the best deals! In addition to installation, we also offer replacement and repair of granite, quartz and marble countertops. An upgrade of your kitchen countertops is an easy, affordable way to dramatically increase the value of your home. 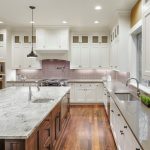 You’ll be amazed at how much the overall functionality and aesthetics of your kitchen or bathroom will improve with new quartz or granite countertops. We’ll happily work with you and your general contractor and, when we’re done, you’ll find yourself spending a lot more time cooking up a storm in your kitchen. And with your beautiful bathroom vanity, you’ll no longer be dreading the time it takes to get ready in the morning. We are accredited with the BBB (Better Business Bureau), so you can be sure we’re an honest and trustworthy company that builds and installs quality countertops at affordable prices. We accept all major credit cards, including Visa, MasterCard, Discover and American Express, as well as cash and checks. So stop worrying about granite countertop cost and get on down to our showroom today!